Although there is no doubting that this Briar Breastplate With Pauldrons is a handsome suit of armor, there is so much more to it than that. It is possible and even likely that underneath this leather armor is a skilled warrior. After all, looks are not everything, and that is why this armor has virtually everything that a warrior would want in a breastplate. It is handcrafted from high quality 9-10 oz. leather and consists of a simple leather baseplate that has been adorned with several additional leather plates. Far from just decorative, these plates provide an added level of strength and durability that help transform this armor from decorative to functional. 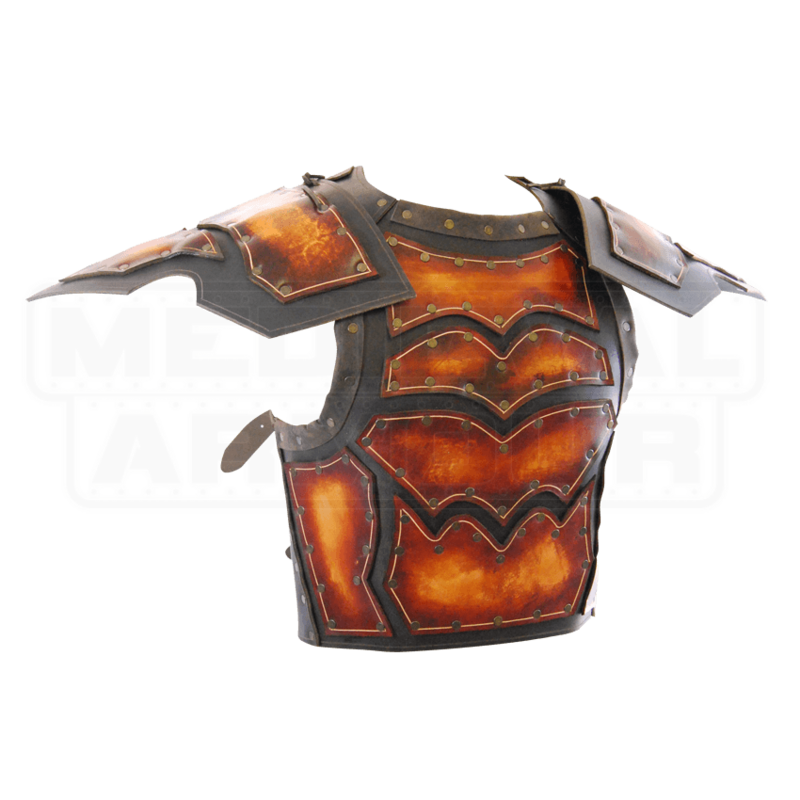 The Briar Breastplate with Pauldrons also includes a pair of stiffened leather shoulder protectors, which stick straight out from the shoulders, giving this armor an impressive silhouette. The pauldrons attach to the armor via ties and grommets on the breastplates shoulder straps. 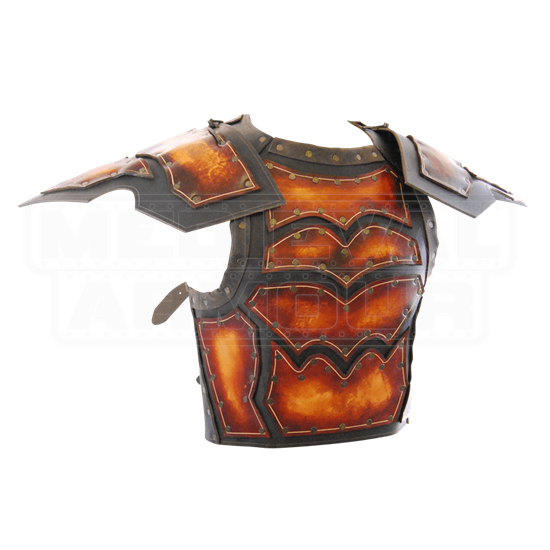 The armor is available in four sizes and as the armor is worn using a quartet of adjustable leather straps with two around the lower back and one over each shoulder, the armor has a bit of give that ensures it is highly adjustable, even within is size. For this reason, you should order your armor according to the measurements that fit you best, and then adjust it to comfort once you put it on. The armor also comes in two different colors, featuring brown backing with a tan plating or a black backing with a rich cordovan plating. Both color variations are striking and are sure to catch the eye of everyone who glances your way. Wearing this Briar Breastplate With Pauldrons is a great way to make yourself stand out, whether at LARP events, Renaissance fairs, or anywhere else.